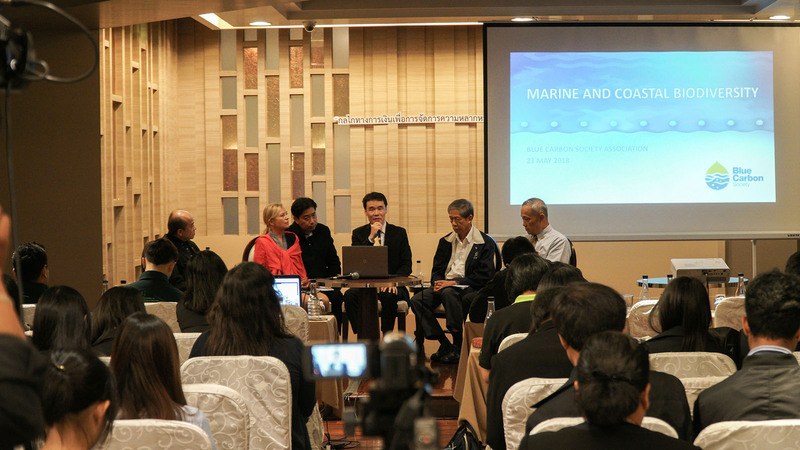 Blue Carbon Society (BCS) underscored the vital role for public-private partnerships in saving coasts and oceans at a panel discussion in Bangkok for the International Day for Biological Diversity (22 May). 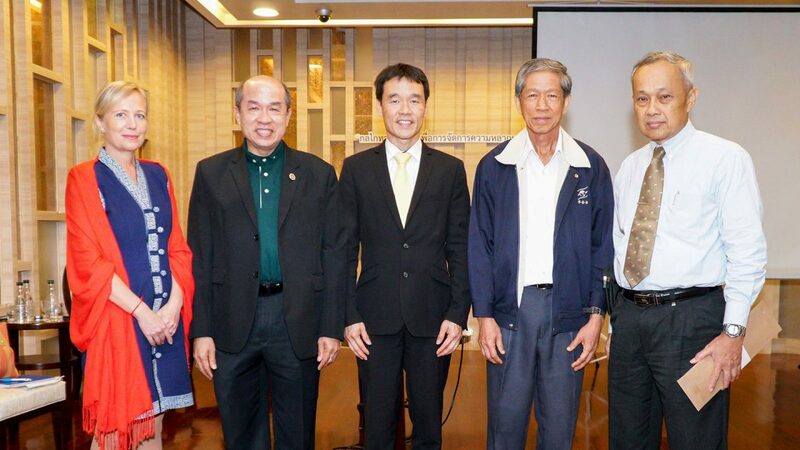 BCS Director Dr. Wit Soontaranun spoke on ‘Financial Mechanisms for Managing Biodiversity’ alongside international environmentalists at a conference hosted by Thailand’s natural resources ministry at The Berkeley Hotel Pratunam. “Coastal ecosystems are crucial to biological diversity not only directly, as nurseries for fish and feeding grounds for marine mammals, especially endangered species. They also contribute to biodiversity worldwide by absorbing carbon and helping mitigate climate change,” he said. 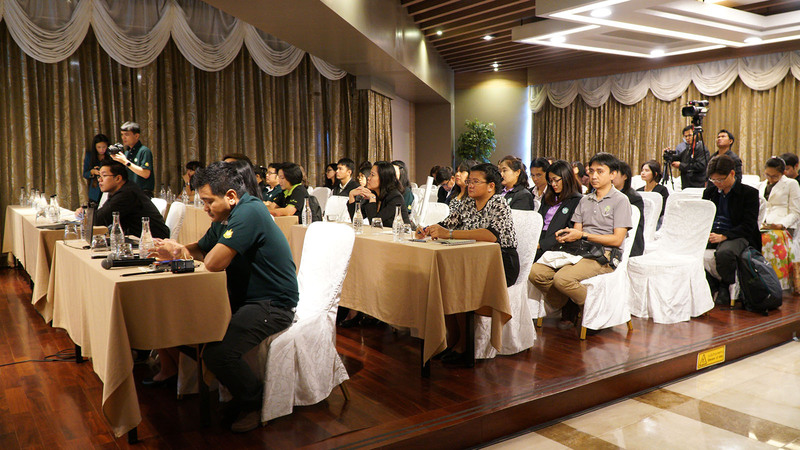 The conference was hosted by organizations including the Ministry of Natural Resources and Environment’s Office of Natural Resources and Environmental Policy and Planning (ONEP) and the Biodiversity Finance Initiative (BIOFIN) of the United Nations Development Programme (UNDP) Thailand. 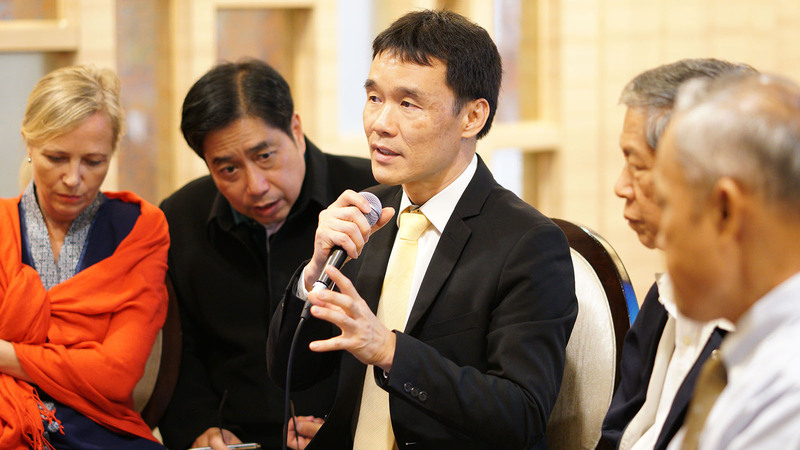 Over 80 experts participated, representing government agencies, local government, NGOs, academia, and the private sector. Attendees included Dr. Nawarat Krairapanond, Director of the Bureau of the Environmental Fund; Dr. Jessica Alvsilver, Regional Node Adviser for Asia-Pacific at UNDP; Mr. Surapol Duangkarn, Chairman of the Subcommittee on Natural Resources and Environmental Management at ONEP and a member of its Environmental Fund Committee; and Mr. Decha Siripat, founder and Chairman of Khaokwan Foundation.